Arjun Kapoor has many projects in the pipeline. The actor has wrapped up two of his upcoming films- Namaste England and Sandeep Aur Pinky Faraar. He is set to begin Raj Kumar Gupta’s India’s Most Wanted and Ashutosh Gowariker’s Panipat. Both of his next films are period dramas. 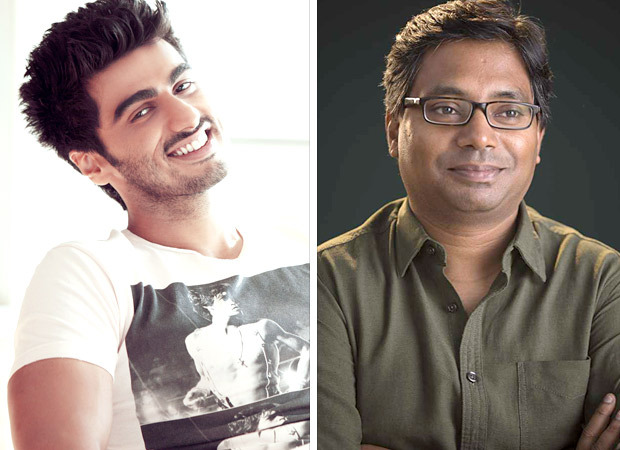 Arjun Kapoor will begin shooting for Raj Kumar Gupta’s movie first and the film will go on floors in August. At the recent Navbharat Times Awards 2018, Arjun Kapoor spoke to media about his upcoming projects. He spoke at length about what the audience can expect from his next projects. “Namaste England with Parineeti Chopra is releasing on Dusshera in October and after that Dibakar Banerjee’s Sandeep Aur Pinky Faraar will release. India’s Most Wanted and Panipat will also release in the coming period. The kind of love I have received from the audience in the past seven years, I hope these four films will get double or triple times the love and appreciation. It is an exciting year for me. I have finished shooting for Namaste England and Sandeep Aur Pinky Faraar. I will start shooting for India’s Most Wanted from August which is directed by Raj Kumar Gupta. I am trying to do different kind of films. Let’s see how the audience responds to it,” Arjun said. “Working with Raj Kumar sir obviously excited me. His films are raw, gritty, they talk about true events, true heroes. When he narrated India’s Most Wanted to me I was moved, I was proud of my motherland and its unsung heroes. It is a film that will inspire patriotism within all of us. To play a character that might not be known to everybody but needs to be known by everybody was exciting. It’s always been something that has been at the back of mind. To play a character straight out of a real life incident and that it was not just a biopic – that’s where I think India’s Most Wanted really appealed to me. It’s actually an event that transpired very recently but not a lot of people know much details about it. It intrigues me as an actor to play this role but it excites me as an audience that I will be getting a chance to see this story unfold on the big screen”, added Arjun Kapoor earlier when the movie was announced in May. India’s Most Wanted will be based on real incidents. Arjun Kapoor’s character will be on a mission to catch most wanted terrorist. It will be a gripping plot with Arjun in a never seen before avatar. Aankhen 2: Sushant Singh Rajput and Kartik Aaryan come together for a sequel to the Amitabh Bachchan starrer Aankhen?